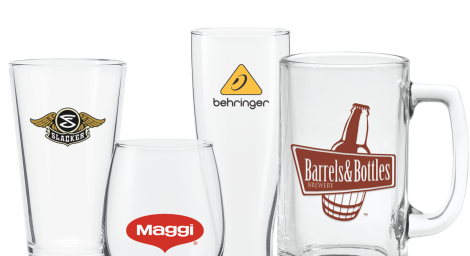 Personalized imprinted glassware is one of the golden stars of the promotional world. They make for great gifts or giveaways at conventions, tradeshows, special events and for the holiday season. They not only create a strong branded look for a bar, lounge, restaurant or pub, they are extremely effective marketing tools for just about any business. 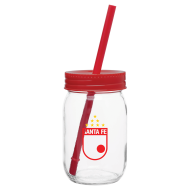 We provide a collection of quality promotional glassware: 16 oz. 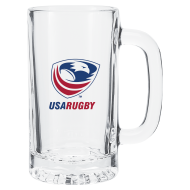 Custom Pint Glasses, Imprinted Pilsners, Personalized Beer Steins, Logo shotglasses and much more. The "craft beer fever" that has taken over the Bar & Food industry in the last decade has put imprinted beer mugs at the very top of the list of many promotional campaigns. If you are in this industry, personalized mugs are certainly a must-have promotional item. They are an effective way to solidify branding, create a unique look for your business, and set you apart from competition. There's a huge market of beer enthusiasts out there that will thankfully receive a mug with your logo imprinted on it. This means that any industry can take advantage of the benefits of this marketing tool. 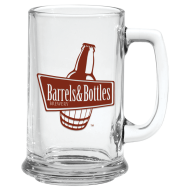 The Mines Press' custom beer glasses and imprinted beer steins are available in a variety of styles and prices, to please just about any taste and budget. 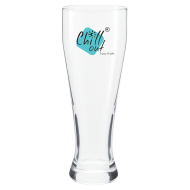 Our collection also includes personalized wine glasses, mixing glasses, promo shot glasses and much more.